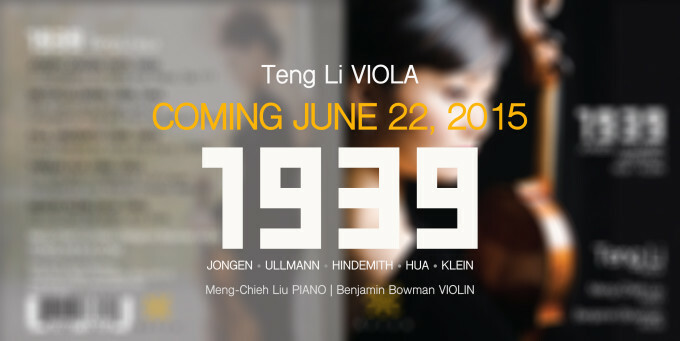 Teng will release her upcoming CD on June 22, 2015 (Azica Records). The disc features works by JONGEN,ULLMANN, HINDEMITH, HUA and KLEIN. Guest artists on the CD are pianist Meng-Chieh Liu and violinist Benjamin Bowman. Stay tuned for more information about the CD launch and more!